Vestments differ with position and profile and signify the authority he enjoys within the Church. Istok carries the most exquisite selection of Orthodox Church vestments all of which can be proudly worn by the clergy-member. Every tradition and celebration requires the use of ceremonial cloth and vestments which is why you need yours to be made from the best quality materials and embroidered with the icons you and your church favor. Istok offers skillfully created selections of Holy Table vestments and Holy Table covers. Most Priests choose their garments with similar themes while bowing to the tradition that dictates specific designs for different denomination of the wearer. Istok Church Supplies also offer non-Eucharist vestments like cassocks and other monastic clothing. We offer Child Altar robes and Altar server robes based on individual sizes. From Clergy stikharions to Subdeacon vestments, you will find a large variety of them in flawless patterns fit to grace any given situation. These individual vestments follow traditions set centuries ago. 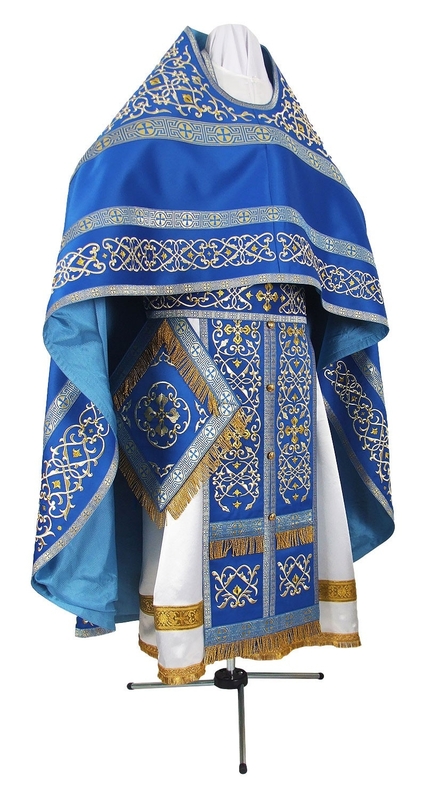 Istok presents a broad range of Oblation table vestments in addition to Deacon Vestments. Our tailors have a superb experience in creating brilliantly detailed cassocks made to exact specifications including Epitrakhilion sets. These are intricately patterned in brilliant red gold, white gold and black silver among many others with natural velvet used for inserts. They look grand, elegant and bestow upon the wearer the glory and authority throughout every proceeding and service. 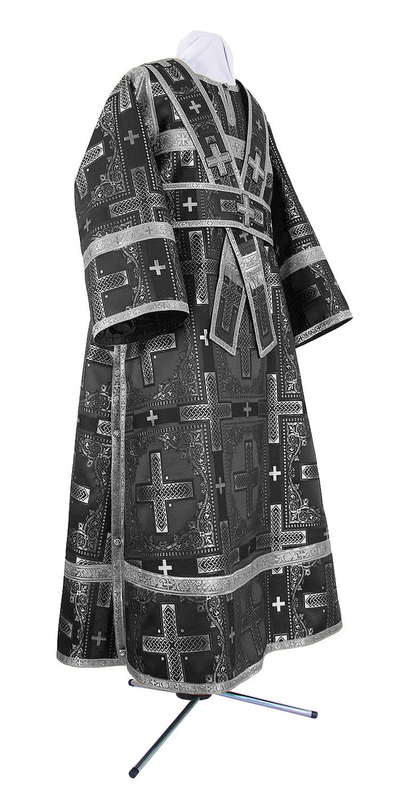 Customers have a large variety of options when it comes to Greek Priest vestments and Russian Priest vestments. Anything tailored required in these styles from Bishop Vestments to belts, you will find here at Istok. Non-industrial irons are unable to properly pre-shrink the fabrics and vestments, whereas our industrial heating tables do it professionally and neatly. Layers of stabilizers in vestments require industrial heating tables. Using home irons result in inadequate layer adherence and thus the layers may come off after several cleanings.